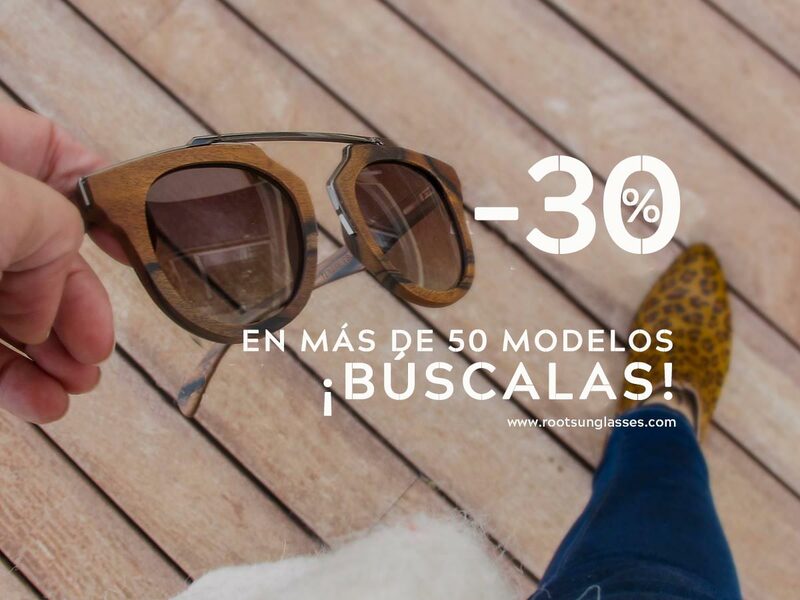 Natural Wood Sunglasses ¡Get a-30% discount! This January 2018 Browse our catalog of natural sunglasses , find the DISCOUNT CODE valid in more than 50 models divided between our Sunglasses collections of Natural Wood , Mixed and Mixed Premium trought our website and get one of these models with an additional discount of 30% by introducing into the shopping cart discount code you will see on the models selected for this promotion. then you can read in the same BANNER the promotion information and see the DISCOUNT CODE that you must enter in the box "Discount Code" in the step1 of the shopping cart when you go to checkout to benefit from a additional discount of 30% on that and any other model of sunglasses that are part of the promotion and you've added to the shopping cart. This January , you can not miss the opportunity to have your Natural Wood Sunglasses at an exceptional price.